Sometimes it’s nice to just unwind with a glass in hand, surrounded by your favorite people. If margaritas are your drink of choice to end the day, then you must try these top 10 places in Nebraska for the most unbelievable margarita! Tres Margaritas, also known as 3 Margaritas, is the example of the immigrant dream, which features financial success and the chance to return home and help those who were left behind. Each of the nine Morales kids now own a 3 Margaritas restaurant, and have been in the United States for over 27 years. Nicolas Morales’s agenda is ambitious and one to be admired: to change the conditions and lack of jobs, provide education, and opportunity that made him cross the border into the U.S. when he was 17. When you’re enjoying one of their deliciously cold margaritas, just know you’re supporting a dream and enabling someone to make a change. The best place to unwind after a long day is the Schillingbridge Cork and Tap House. Their outdoor patio features a beautiful stone fire table and a stunning outdoor brick pizza oven. Join them for Happy Hour from 4 p.m. to 6 p.m. every day and enjoy $5 margaritas! Each of their drinks are made from fresh squeezed juice, homemade syrup and handmade margarita mix. Mixes include: traditional Margaritas, Wine-A-Rita, Beer’Rita and Sang-A-Rita. The Lil Burro in Bellevue, Nebraska is the modern day version of Cheers, where everybody knows your name and where customers come to unwind after a hard day’s work. The restaurant features unique Mexican dishes filled with incredible flavor and are a richer, heartier version of what you might find elsewhere. 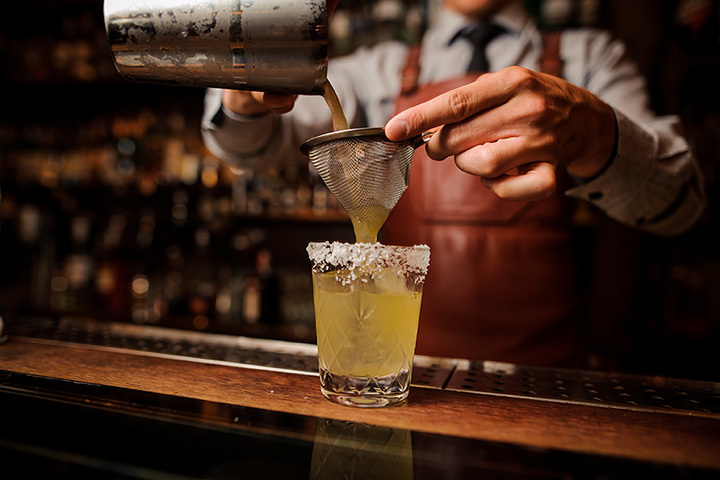 They also have some of the best margaritas in the area, made with a blend of three tequilas to give them that extra ‘oomph.’ These aren’t your standard margaritas! Don and Millie’s has been catering to the Omaha area since 1989 and have become a local favorite not only for their delicious food and the fact that it’s locally owned and operated, but also for their all day, every day 99-cent margaritas! No matter the time of day, you can have a delicious Lime on the Rocks, or a Strawberry Blended margarita with a scrumptious cheeseburger, specifically the Double Don, voted Best Burger in America! Not only does the El Mezcal Restaurant have some of the best Mexican food in the area, they also have some of the BEST margaritas in the Norfolk area with a large selection of options to choose from. Their Pitcher Margaritas are their most popular, featuring a 60-ounce pitcher filled with your choice of Peach, Strawberry, Pina Colada or Mango margarita mix. Other crowd pleasers include the Miami Vice Margarita and the Jumbo Margarita. El-Tapatio is the best place in Grand Isle to experience the freshest, most delicious Mexican cuisine in all of Nebraska. It’s a great place to entertain or to hang out and listen to live music on the weekends, and to indulge in scrumptious Mexican food–and margaritas, which is their number one seller on any given night. Be sure to try it with one of their many selections of tequila or have a shot of it instead! El Molcajete is the term for mortar and pestle, made of basalt or volcanic rock and are used for grinding spices, herbs and other mixtures, something done every day at the El Molcajete restaurant in Scottsbluff, Nebraska. Their margarita choices may be slim but are absolutely full of flavor and come in a variety of sizes: regular, jumbo, monster, half pitcher or a large 60-ounce pitcher. Choose from Lime or Strawberry flavored, or try their traditional Texas Margarita, the Gran Marnier with Cuervo Gold. Come join the Roja Grill at both of their locations in Omaha for Margarita Mondays! The only choice you have to make? To salt or not to salt? The Purple Sangrita is the most popular choice of margarita because of its unique color, made from lime margarita mix, raspberry liqueur, and can be made either frozen or on the rocks. It’s colorful and oh so flavorful, and the perfect choice on a hot summer’s night! Whether it’s a night out with friends, planning an event, or dinner with the family, Hector’s in West Omaha is the place to be. Every day is ‘viva la fiesta’ and the food is prepared fresh daily. Their margaritas can be blended or on the rocks, and are known for having the best margaritas in town. They also offer a large selection of top shelf margaritas as well if you want something beyond the traditional choice. Join them Monday through Thursday from 8 p.m. to close for $1 of all margaritas and beers! Margarita’s Mexican Restaurant features quality, authentic Mexican food, fresh ingredients, and a beautiful location for families to enjoy every day of the week. They also have a great selection of margaritas to choose from, including Margarita Azul which is as blue in color as the Mexican sky and the restaurant’s signature drink, the Gold Margarita, La Chavelita, and so many more! If you prefer a traditional fruity margarita drink, try the yummy yet tangy watermelon Margarita mix. Your taste buds will thank you!